December is such a wonderful month where you can find x'mas songs playing everywhere. I love x'mas songs that literally brighten up my days. On this x'mas eve, I decided to celebrate at somewhere special, where I can enjoy such wonderful music. 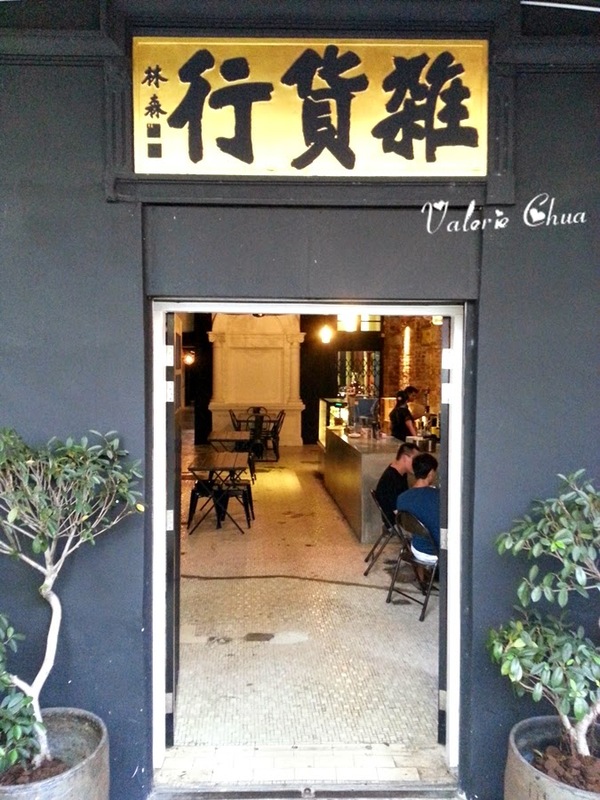 #1 No Black Tie - one of the renowned Jazz gastro bar in KL. Always wanted to visit them and I was looking forward to the upcoming experience before I walked into the bar. Before we are led to our seats, we are required to pay the cover charges upfront, which was RM50 per person for performance on that night. Then there was a waiter that led us to our seats. I was shocked when he showed me a table which I need to share with another couple, and bear in mind, it is a super small table and the space was so so limited and narrow. I was unsatisfied with the seating arrangement so I told another waitress that I want a table for 2 persons at the upper deck and I have made reservation since last week. #1 We are welcomed by an old fashion, read from right to left Traditional Chinese signboard, and it means Grocery Store. What can we find in a grocery store? #2﻿ There are wooden tables with steel stool, furnished with black and white paintings. #3﻿ The help yourself area for water and seasoning. #4﻿ ﻿ I love the way they put the utensils. Easy to manage and space saving. #5 My orange juice and his hot latte. The rise of cafes and restaurants in Kuala Lumpur have indeed created many opportunities for food lovers like me to explore and adventure. LOL. Is really adventurous because you wouldn't know how the food is going to taste like. If you realize, people tend to visit a café or restaurant not only for their food, but also because of the concept and the interior design. This is one of the reason why I wanted to go to Calavera. 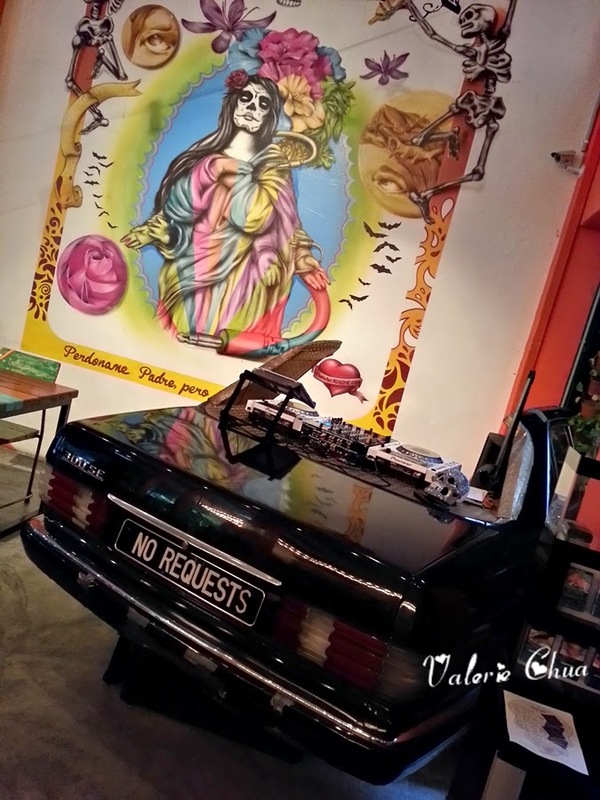 #1 The main attraction of this café & bistro is definitely the colourful mural painting, accompanied by a car boot that feature a DJ deck. According to the waitress, there will be live DJ performance on every Friday and Saturday night. #2﻿ Calavera means skull in Spanish. Hence, you will be welcome with many skull pictures framed on the wall. #1 A beautiful Koi pond with natural greenery surrounding. #2 Me & mom at the entrance. #3 Very warm and welcoming staircase. #5 Finally we reached the Transfiguration Chapel after so many staircases! Our hard work paid off with awe-inspiring sight! #6 "Thy Will Be Done" sculpture became such a beautiful portrait under the blue sky and among the flowery!